Good Morning Mid-Michigan! 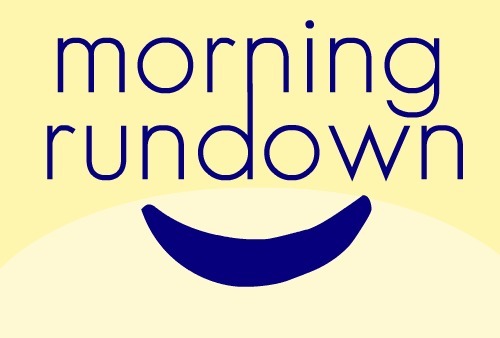 Here's a look at what's making headlines in today's MarkHeidemanTV Morning Rundown. An Arkansas man is being accused of selling Asian Carp in Michigan. Read the complete article by clicking here. A robbery resulted in an accidental shooting yesterday afternoon in Detroit. Read more about the incident here. There is currently a proposed plan to ban beverages over sixteen ounces in New York. Read the article here. You can weigh in on these stories by commenting on our Facebook page. of it's big-box location stores. Read the full article by clicking here. The American Red Cross Great Lakes Blood Region has recieved word that their union members are intending to strike. We will continue to track this story and bring you the developing details as they become available to our newsroom.You can read the details we have at this hour by clicking here. new feature became mandatory yesterday. View the full article by clicking here.